Many couples fall out of sync. Without warning, life events disrupt the rhythm that helped them stay in harmony. Pride, strong emotions, marital and work-related stress, and different communication styles often make it difficult to reconnect. Meet Ryan and Alyssa, a married couple struggling with connection. Ryan’s success in his job was such an event. He zeroed in on the opportunity to achieve a shared dream, but as he did so, he and Alyssa drifted apart. Ryan dreaded going home after 11 years of marriage. He and his wife, Alyssa, struggled with how to connect with each other without igniting a conflict. Alyssa felt dissatisfied. Ryan didn’t understand why. They described their dilemma to their marriage counselor. Ryan explained that he works long hours—until eight most evenings, and two or three weekends a month. He’s ambitious, driven, and skilled in his work, which has paid off financially. He and Alyssa were able to move their family from an apartment to a new home only five years after they married. They’re putting money away to invest in a vacation condo in Hawaii. Alyssa used to ask Ryan how his day went. Not anymore. He just says, “Fine.” If she asks for more detail, he gets angry and says things like, “Why do you ask? You don’t really care.” Then they argue. Ryan admits he used to say more, but from his perspective, Alyssa doesn’t appreciate his hard work. When he brought home the top sales consultant bonus for the second year in a row, Alyssa cried. Alyssa said what Ryan knew; her tears were tears of frustration, not joy. “You really need to cut back and spend more time with your family,” she’d said. “You work too much. You don’t spend enough time with our boys. I can’t be both their mother and father.” Alyssa felt overwhelmed handling it on her own, especially because their boys were having difficulty in school. Ryan has been colder to her since then. She misses the closeness and fun she used to have with him. Ryan seemed clueless because he wasn’t paying attention to his wife’s bids for connection. Alyssa tried to tell Ryan what she needed, but she often delivered her appeals to Ryan to change his behavior with criticism. Ryan defended himself, and he didn’t listen to the request for connection that lay beneath Alyssa’s criticism. He didn’t see that she wanted to express her needs and wanted him to understand. Alyssa and Ryan stepped into a trap of criticism and defensiveness, which derailed their attempts to connect. 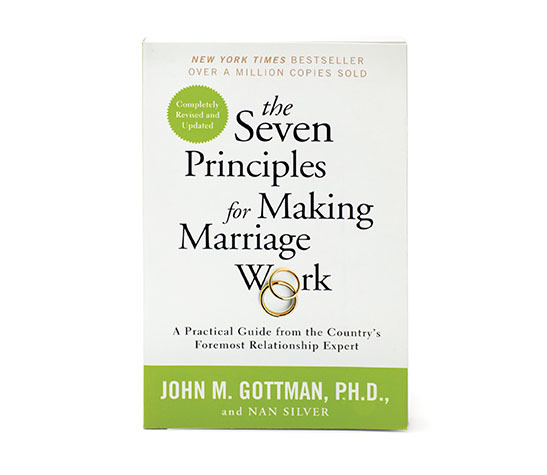 Criticism and defensiveness are two of what Dr. John Gottman calls The Four Horseman of the Apocalypse. When a couple fails to break free of this trap, it may not be long before the other two horsemen—contempt and stonewalling—enter the fight and put their relationship down for the count. Highlighting past behaviors only invites more criticism and defensiveness, so their counselor encouraged Ryan and Alyssa to clean the slate and start over. He coached them to take turns expressing their needs and responding to each other. He guided them through the following steps. At the same time, he urged them to keep their focus on the present and to avoid bringing up the past. Most couples can follow these same steps to begin to restore a broken connection. When spouses can clearly state what they need from their partner without blame or criticism, and especially by using “I” statements, they help their partner see where they can focus their efforts to reconnect successfully. Open-ended questions are curiosity’s most powerful tool. These questions typically begin with words like “what,” “why,” or “how,” and are framed to avoid a “yes” or “no” answer. They provide stories for answers, which helps couples to understand each other’s needs more deeply. Ryan gained a deeper understanding of what Alyssa needs to be happy. Some of her dreams and needs seem to have changed, but he didn’t know that until they had this conversation. He agreed to arrange his hours at work so he can spend more time with Alyssa and the boys. He also agreed to partner with her on helping with the boys’ school problems. And, he promised to plan some dates for just the two of them. Words of appreciation and gratitude say, “You matter to me, and I value you.” They express commitment to the relationship, and they cultivate trust that helps bond people together. When disconnected couples repair their connection, they can enjoy being with each other. Ryan no longer dreads going home. He and Alyssa are learning to communicate better. They now know the secret to getting back into sync; to tell each other what they want instead of what they don’t want, to ask open-ended questions, to form a compromise, and to thank each other for listening. You can love better tomorrow, even if it’s difficult today.